>I have wanted to make homemade sandwich buns for so long. These look delicious! >This just completely went to the top of my to-do list! 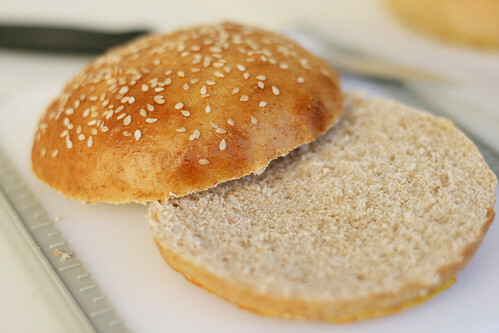 I've been imagining homemade buns for a couple of years ~ we probably use them about 4 times a year, but every time I shop for them I'm just disgusted by the options that are out there. I can't wait to try them! 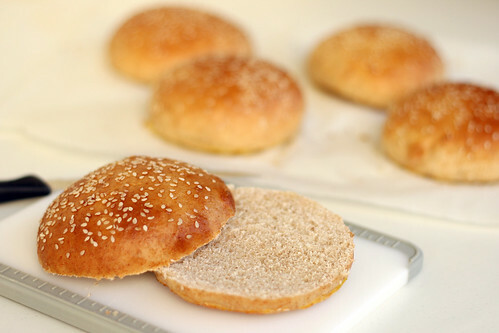 >These look amazing, brioche buns are my absolute favorite. >Mmm. I love brioche buns and wheat makes it even better! 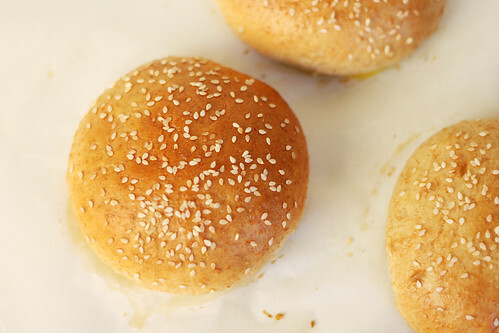 Once you make burger buns, it's hard to go back to store bought. >Yep – I always shred my butter too when I make scones or biscuits – so much easier to cut it into the flour. >I'm making these right now, and the dough is so sticky I can barely get it into a ball, were yours thaat sticky? or should I use some more flour? >Mine was pretty sticky, you don't want to add too much flour (as that could make the buns tough) but you can add some to make it a little easier to manage. I remember having some stuck on my fingers and having more of a lump than a perfect ball. It will get easier to manage after the first rise. Good luck! >Ah yes, dough stuck to the fingers. I hope it worked out for you.